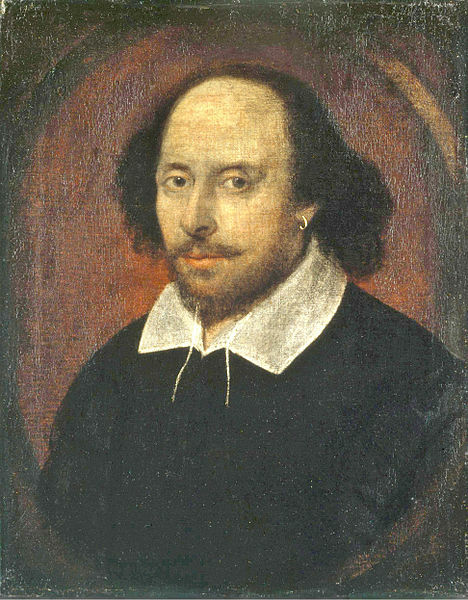 John Timpane, my editor at the Philadelphia Inquirer, offers a piece on celebrating the life of William Shakespeare on the 400th anniversary of his death. William Shakespeare died on April 23, 1616, making Saturday the 400th anniversary of his passing. He was baptized on April 26, 1564, although his actual birth date is not recorded anywhere. But it's a decent bet that right around this time, 452 years ago, one of the best-known writers in history was born. His 400th yahrzeit will be observed in all sorts of ways in all sorts of places. So what's the best way you can celebrate his 52 or so years on this earth? What's the best way for anybody to celebrate him, whether they know Shakespeare, like Shakespeare, hate Shakespeare, are bored by Shakespeare, or shake at the thought of Shakespeare? He's worth celebrating. Few human beings have brought so much pleasure; so much cathartic emotion; such music; so many enduring, human characters and situations and sayings and stories (granted, many repurposed - as in stolen - from other writers). He's funny, appalling, perplexing, poetic, dirty, profound, witty, and anything else around and in between. His plays and poetry have earned him a place he deserves among the best- and longest-known and most-loved human beings ever. Here's the worst way to celebrate him: because you think you should.